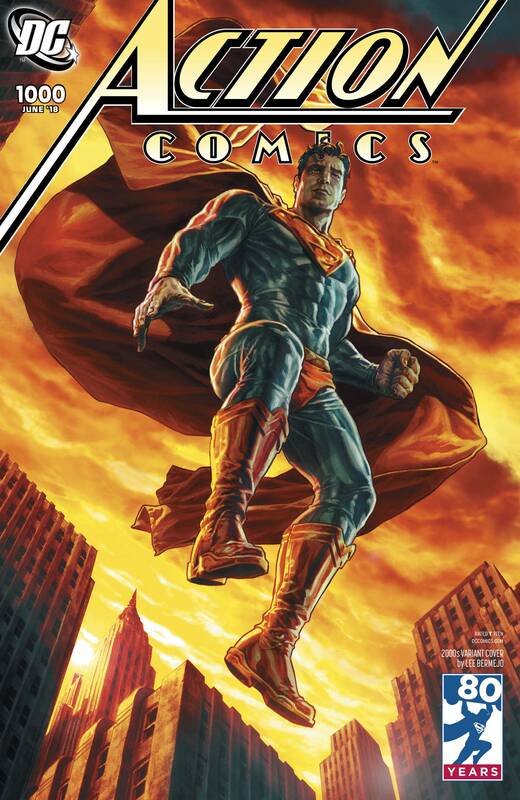 Celebrate 1000 issues of Action Comics with an all-star lineup of top talent as they pay tribute to the comic that started it all! From today's explosive action to a previously unpublished tale illustrated by the legendary Curt Swan to the Man of Tomorrow's future-this very special, oversized issue presents the best of the best in Superman stories! FEATURING ALL-NEW ART AND STORIES BY: • BRIAN MICHAEL BENDIS • JOHN CASSADAY • OLIVIER COIPEL • PAUL DINI • JOSE LUIS GARCIA-LOPEZ • PATRICK GLEASON • BUTCH GUICE • GEOFF JOHNS • DAN JURGENS • TOM KING • JIM LEE • CLAY MANN • BRAD MELTZER • JERRY ORDWAY • TIM SALE • LOUISE SIMONSON • SCOTT SNYDER • CURT SWAN • PETER J. TOMASI • MARV WOLFMAN ...AND MORE! DECADES-SPANNING OPEN-TO-ORDER VARIANT COVERS BY: • STEVE RUDE (1930s) • MICHAEL CHO (1940s) • DAVE GIBBONS (1950s) • MICHAEL ALLRED (1960s) • JIM STERANKO (1970s) • JOSHUA MIDDLETON (1980s) • DAN JURGENS (1990s) • LEE BERMEJO (2000s) ...PLUS A BLANK VARIANT COVER!.